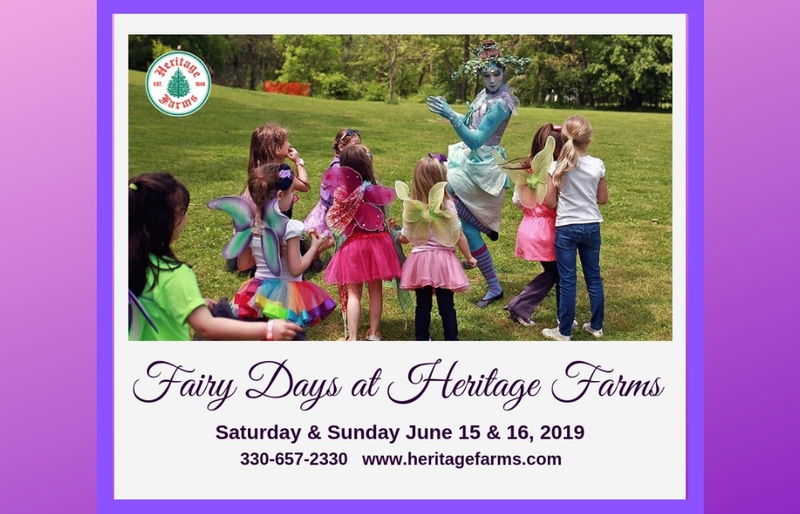 Join Heritage Farms for their 9th annual Fairy Days Festival on June 15th and 16th from 10:00 a.m. to 4:00 p.m.! Flitter the Fairy will lead the morning costume parade and dance with you in the Fairy Circle, while the silent and mysterious Bubble Fairy will amaze you each afternoon! There will be Fairy Games to play, Fairy House building and Mini Fairy Gardens to take home with you! Shop our Magic Meadow Market for Fairy inspired arts and crafts, sweet Fairy treats, face painting (additional charge) and more! People Care Pet Pantry, our non-profit special guest, will be selling raffle tickets for 2 drawings! A big Fairy Basket full of glitter and fun or a Unicorn Backpack loaded with rainbow magic. A day for fairy lovers of all ages and their friends and families. And have a magical day . . .